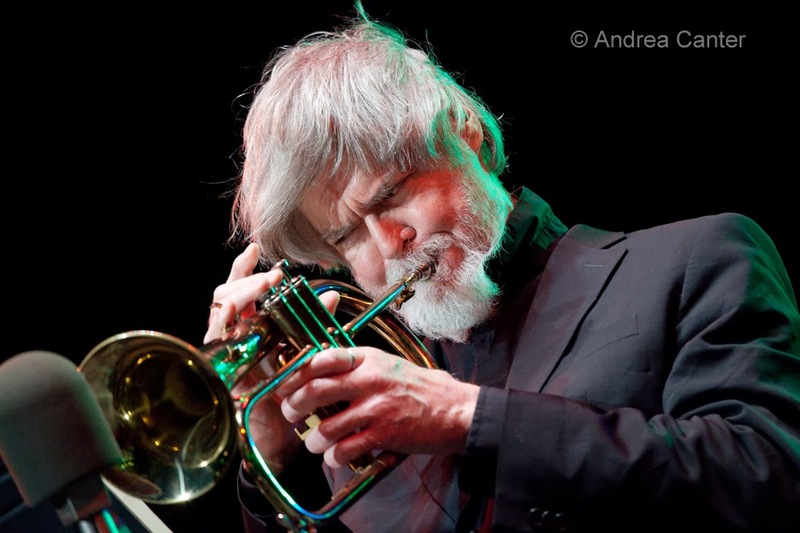 In Pamela Espeland's current series of blogs (Pleased and Flipped: Memories of the Artists Quarter), a number of favorite memories include hearing trumpeter Tom Harrell. My first encounter-- or rather experience-- hearing Harrell was at the Artists Quarter on Jackson Street -- must have been the mid to late 90s. I don't remember the full band but Craig Taborn was on piano, which is the main reason I went. Craig's mom Marjorie and I worked together for years in the Minneapolis Schools and I had heard about Craig for a long time but this was my first chance to see him perform. And I had certainly heard of Tom Harrell, but not enough. Craig was brilliant as I expected. Harrell was brilliant and unpredictable, not just musically. I was not fully aware of his mental health issues prior to the gig. And when he had the trumpet in his mouth, he was intense, focused, fully in the moment and the music. But when he stepped away from the mic, it was like he entered a different dimension. He looked tortured, isolated, unaware. At one point, the piece ended, and he walked off. No one seemed to know where he went or when (if) he would return. (Eventually he did.) Then I learned he had a diagnosis of schizophrenia which medication controlled to some degree, but he was at that time largely dependent on bandmates, managers, etc. to help him control the disruptive demons that seemed to rise up when the music stopped. He said nothing to the audience. I'm not sure if he was aware that he had a crowd listening. I believe Tom Harrell played the AQ several times, maybe more, at its first two locations; I don't remember him playing more recently on 7th Place. But I've seen him a couple times since my first encounter. In New York, I saw him in duo with a French pianist at the intimate Kitano. Relative to that gig on Jackson Street, he seemed more relaxed if less organized--he had charts of new music all over the music stands and floor and still seemed to encase himself in a wall of isolation when not blowing his horn. Again, the music was fresh and beautiful. 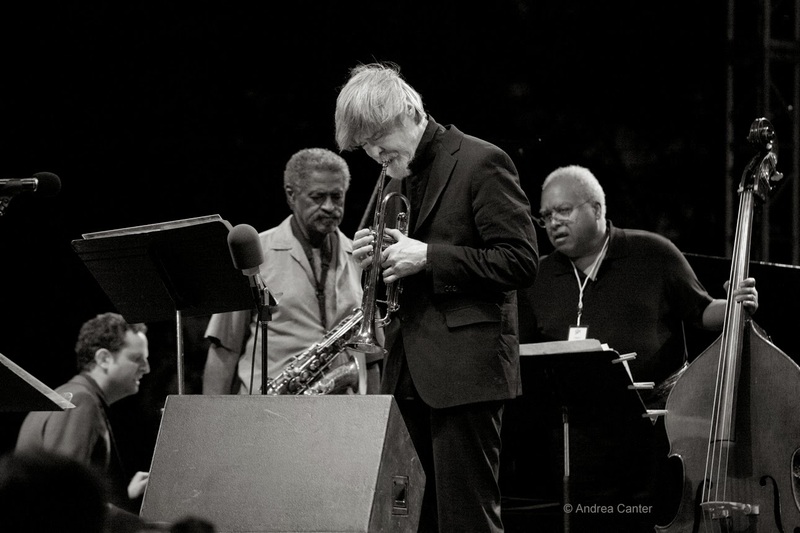 A year ago, I saw Tom Harrell again, with the Charles McPherson Quintet at the Detroit Jazz Festival. He seemed less isolated, more connected to the audience although still made little eye contact and no comment. His horn again did all the talking. Harrell is an amazing performer and composer. But perhaps most amazing is his continual determination to rise above those demons and let the music flow. And bless Kenny Horst for giving Tom the opportunity to play at the AQ, to show listeners that music really does conquer all. * I didn't start hauling a camera into jazz clubs until about 2005. My only photos of Tom Harrell are from the 2012 Detroit Jazz Festival.